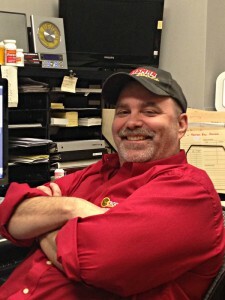 Shawn is the founder and president of Croix Design and Drafting, Inc. He has more than 30 years of experience in the home building and construction industry, and is the 3rd generation in his family to be in the construction field. Shawn’s grandpa and his dad were carpenters and home builders. Shawn worked with the family construction business over the years as a carpenter, framer and job superintendent, and was working his way up to becoming a home builder as well. He completed the 2 year construction program at Larimer County Vo-Tech in Ft. Collins Colorado. In addition, Shawn has worked in a custom cabinet shop, as well as for a painting and decorating company. Shawn was employed as construction superintendent by a custom home builder in Scottsdale, Arizona when he was first asked if he could draw home plans, and his response was that “No, he had no experience in that field.” At that point arose the question, “Would you like to?” It was then that Shawn’s career in architectural design and drafting took its first step. Shawn attended the Phoenix Institute of Technology and earned his AAS degree in architectural design and drafting. He worked designing homes and drafting for the same custom builder in Scottsdale and Lake Havasu City, Arizona. In 1991, Shawn, his wife Cheri, and their daughter moved back to Minnesota. Shawn founded Croix in 1992, and has been designing and drafting homes ever since. Shawn brings a skill set to design and drafting that many home designers do not have. He has worked in the field for years in the home building industry. From picking up nails and sweeping as a little kid, to building cabinets, trimming, siding, roofing, and becoming a lead carpenter/ framer, Shawn has experience in many tasks related to home building. Those skills and real world experience that he has gained over the years are used every day in the plans he designs and drafts. His extensive knowledge and field experience help to ensure that the homes that Croix work on are not only well designed projects, but also go together and function properly. When he’s not in the office, you can find Shawn relaxing with his family, or cheering on his son Chase playing football for the Andover Huskies. 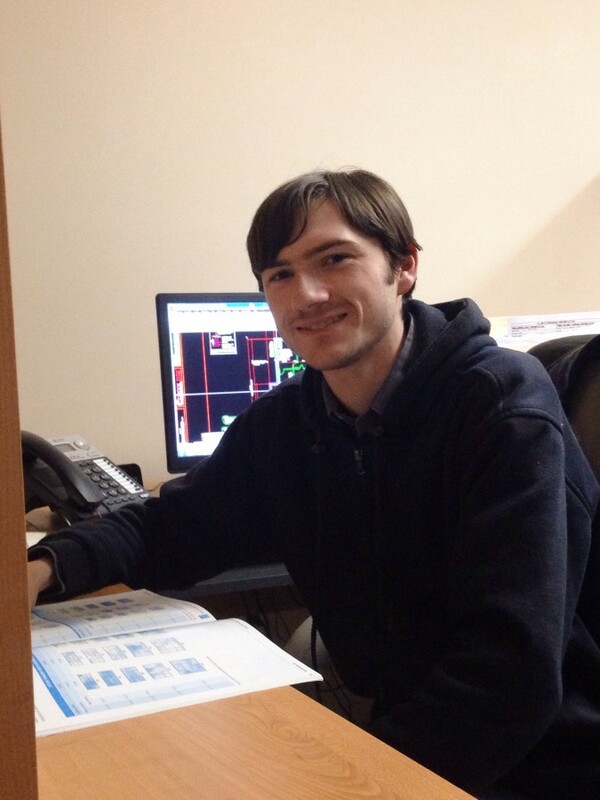 From a young age, Nick had an interest in building design, mainly focusing on floor plans and structure. Having a large supply of Legos allowed him to construct many of his floor plan sketches, as well as replicate floor plans he would find in home plan catalogs. Although many of Nick’s Lego creations were mechanical devices or other vehicles, residential home design remained at the top. He focused mainly on floor plan design while keeping function, structure, and practicality in mind. Once in high school, he took advantage of the AutoCad classes available and took them all, both mechanical and architectural classes. An opportunity to start his design career came in 2002 at a time when Croix was entertaining the idea of expanding. 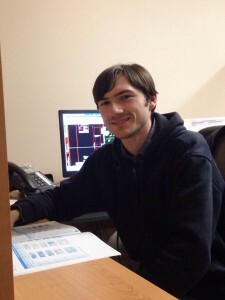 Nick was hired straight out of high school where he absorbed Shawn’s extensive knowledge of construction, as well as Croix’s philosophy of design and drafting. Even though he had started his design career, Nick also continued his education, and received an Associate in Applied Science Degree in Architectural Technology. Croix has always made plan accuracy a top priority, and Nick continues under that philosophy. Making sure the client gets the plan they want is the goal at the start, but the final goal is making sure the client gets a plan that is able to be built without problems in the field due to plan errors. 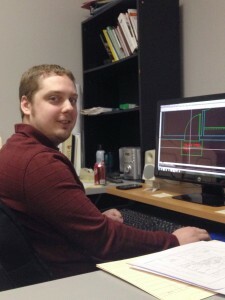 Nick has always been willing to talk with lumber yards, truss manufacturers, engineers and framers to discuss design solutions or new ideas. As a result, new knowledge or experiences are shared here at Croix, and aids his current goal to maintain our plan quality and evolve our drawings. Robert was born and raised in the Minneapolis metro area of Minnesota. As a child he always enjoyed designing and building things whether it was a block castle or one of the dozens of model cities he used to build in his basement, and even from the age of 10, Robert knew he wanted to design for the rest of his life. After high school Robert was educated at Hennepin Technical College in Architectural Drafting and Design, and earned his AAS Degree. Before working at Croix Design, Robert took a job at a Michael’s Arts and Crafts store as a custom picture framer where, along with learning how to frame pictures, he learned a bit of interior design to go along with it. Robert’s role at Croix Design is a Designer/Draftsman; where he draws houses to fit the needs of any design, meets with clients to help them get as clear a picture as possible of what they are looking for, and makes changes to designs to meet the needs of any client.